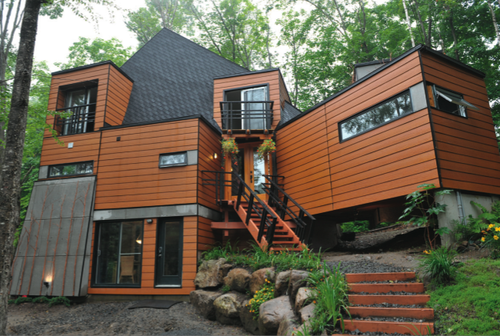 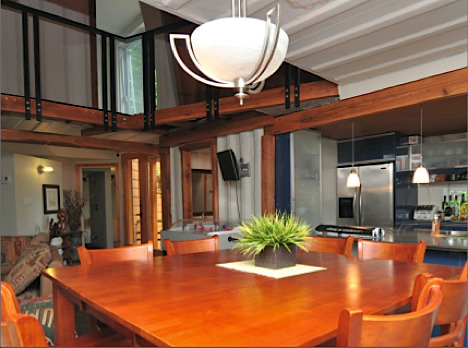 This 3,000 square feet cargo container home in Quebec has four bedrooms. 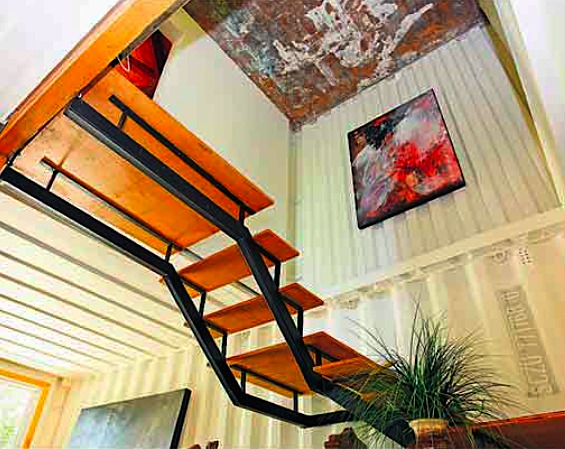 In the seven cargo units home the container walls are exposed on the inside. 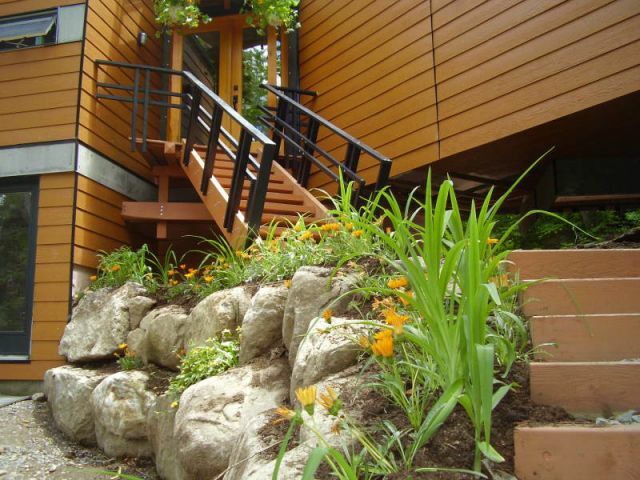 On the outside, the container home walls have five inches of thermoinsulation that is topped by wood siding. 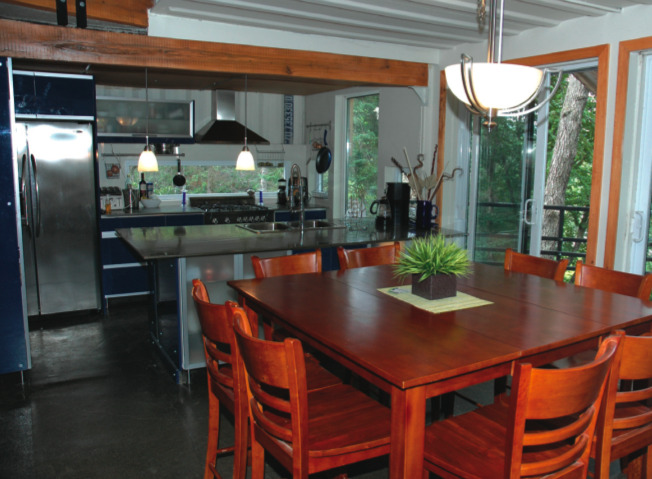 This energy-efficient, durable and bright inside home cost about $175,000 to build.